We’re Back!!! The return of Agawam Paranormal Radio started on September 12th, 2018. Our new show is a monthly, one hour program and will be broadcast the second Wednesday of each month. We will also be broadcasting a two hour show on every fifth Wednesday of the month (four per year). I will post the links here as well as on our Facebook page. Feel free to email me with topic suggestions or music requests at AgawamParanormal @aol.com. Enjoy!! UPDATE: Starting on January 3rd, Agawam Paranormal Radio will be a weekly show once again!!! The live broadcast will be from 6:00am to 7:30am each Thursday morning!!! As before, I will post the shows both here and on the Agawam Paranormal Facebook page. Enjoy!!! 04/04/2019: On this week’s broadcast, I interviewed Ryan Begin from Westfield State University about hosting Agawam Paranormal for our Ghostology 201 presentation tonight on campus. Ryan brought Lindsey Corbet and Olivia Hamparsoomian with him and we were able to discuss several other major events taking place on the campus very soon. As always, some great music and amusing banter. Enjoy!!! 04/01/2019: Sorry for the delay in posting this past week’s radio program, very busy weekend with a new residential investigation going on. I was very happy to welcome my friend Bob Mancini back to the show. He brought with him a local boxing talent, Taylor Smith, for an interview and some fun too. We talked about her boxing career as well as Bob’s recent attempt at becoming a pro wrestling referee too. I even played Free Bird (by popular opinion from a Facebook poll) for Lynn. Enjoy!!! 03/25/2019: On this show, I invited Anne Benoit to return and discuss the Kiwanis Annual Auction. It was a complete success this year and will go towards helping local children. We also discussed some of my birthday mindsets and Pete’s neon green hair!!! Enjoy!!! 03/15/2019: Yesterday’s show was held up by the all mighty censors from YouTube. Apparently they did not approve of some of the music that I played and had to edit the sound from the taped broadcast prior to it being allowed on sites. However, we did have an awesome show and interviewed Teresa Bonavita from Towne Liqours and Towne Taproom, in Agawam, about upcoming events for the St. Patrick’s Day Road Race Breakfast this Saturday morning. Check it out and enjoy!!! 03/07/2019: Today’s show, I was very happy to interview a good friend of mine, Mr. Bob Mancini. We spoke about his political career with West Springfield, his background with boxing and his paranormal experiences in the now demolished Knight’s of Columbus. Enjoy!!! 02/28/2019: On today’s show we have Anne Benoit from the Westfield Kiwanis organization talking about her group and their upcoming auction that benefits local children. 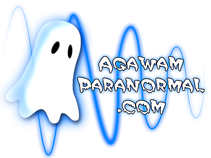 Agawam Paranormal donated a “Guest Investigator” package for two valued at $340.00!!! Many people ask me just how they can join us on an investigation, this is your chance and it benefits a great cause too!!! Note that due to the icing conditions last Thursday morning, we simply played a previous broadcast and were not live. Enjoy!!! 02/14/2019: Our Valentine’s Day Show!!! Hope joined me today and brought the “Moochie Moochie” portion of the show while I played music for the anti-VD crowd. lol Enjoy!!! 02/07/2019: On this broadcast, I was very honored to have my good friend and fellow paranormal enthusiast Ms. Becky Vickers for an interview. Becky has a team in the Dallas area of Texas and has recently published her first book about a location that they have researched and investigated extensively, practically right in their own back yard, the Goatman Bridge! This is one not to miss!!! Enjoy!!! Due to the weather, there was no live broadcast on 01/31/2019. Instead we replayed a past show. Sorry.